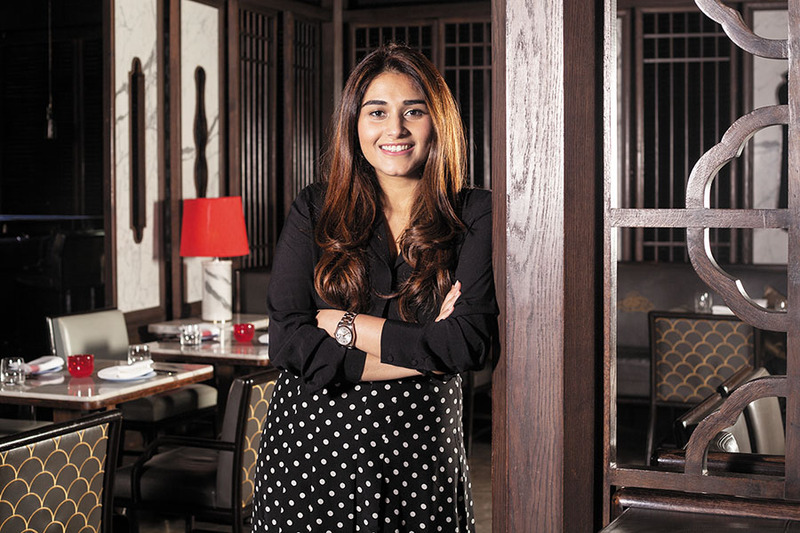 Karyna Bajaj entered the restaurant business at 22, by which time her father, Kishor, had brought global fine-dine Asian-food chains, Hakkasan and Yauatcha, to India. Bajaj, a business and communications graduate with a penchant for food, oriented herself with an intensive internal programme she self-created, spending a month with each of the company’s departments. “It taught me about all the troubles and challenges from the ground up,” she says. Soon after, Bajaj looked to break away from her father’s fine-dine format. Identifying a gap for good, home-style and affordable Thai food—“which most Indians love”—Bajaj imported Nara from Bangkok to Mumbai's Bandra-Kurla Complex. Nara, with its blue butterfly pea rice, and its 12-layered crepe cake, became an instant hit with the Instagram generation. Nara will soon open its second outpost, in Colaba, Mumbai. In December, CinCin became the only Indian restaurant with its own wine label—CinCin Rosso—created in partnership with Vallone Vineyards, Nashik.